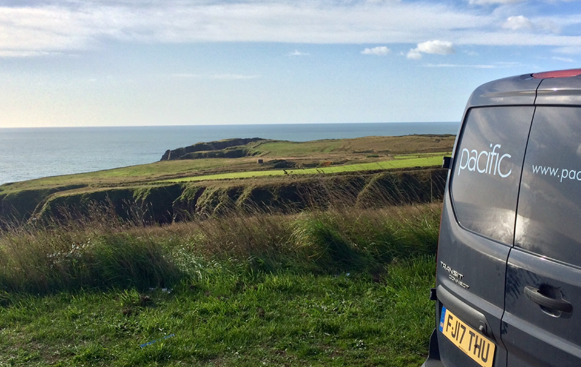 Long term Pacific client Howdens Joinery, in common with many large enterprises, have been preparing for the last few years for the end of Windows 7 support, migrating their systems onto Windows 10. For Howdens, this migration needed to add more than just an end to Windows 7 – it needed to deliver new services, new efficiencies, and new productivity to their network of depots. After extensive testing of different hardware and software, and user acceptance testing in depots, the migration began. Many systems were re-imaged remotely, or replaced gradually, but with 3000+ systems still to be replaced across 600+ locations around the UK, Howdens needed a trustworthy partner to help. Pacific have worked with Howdens for over 20 years, and so were a great fit to deliver the project. We sourced the PC’s from Dell using our Platinum Partner status, arranging scheduled deliveries, and guaranteed pricing and specification for the duration of the project. We provided imaging and asset management services to ensure the systems were ready to be delivered “to-desk”. We scheduled the installations with the depots, planning around their customer commitments, and communicated with the depots on what would be done and when. We backed up their old data remotely, then visited with our own engineers, changed to their new PC’s, and restored their data. Finally, we recovered all the old PC’s back to HQ for recycling. 100’s of PC’s were being replaced every week all around the country with minimal effect on the depot’s daily work, and careful planning and preparation from the Pacific team meant no failed visits. The result has been Howdens depot staff with fantastic new tools to serve their customers, and Howdens IT knowing they have secure, well-maintained and up-to-date endpoints in their business. Pacific have reported back to Howdens throughout the project, taking on the responsibility for project management to further free up Howdens internal resource. One of Pacific's longest-standing clients, Perrys Motor Sales is a nationwide chain of car dealerships with over 55 branches across the country. Our relationship with Perrys has been going strong for over 15 years, and throughout this time our installations have increased in scope and modernity to meet the needs of the company's growth - from full provision of PC hardware, AV equipment, and infrastructure to remote and on-site repairs, along with consultancy services for server virtualisation via cloud videoconferencing and to-desk PC configuration and licensing. Pacific have supported Perrys' email solution since 2000. Firstly, we implemented a clustered solution based on Exchange 2000, providing real-time failover for the 800 accounts – giving Perrys the benefits of virtualisation that are now taken for granted while that technology was only in its infancy. This solution served the Perrys workforce well for many years, with Pacific providing real-time support and helping Perrys’ own IT support team with any issues and upgrades. The next stage of the customer life cycle began when this system was migrated to a virtualised Exchange 2010 solution without any user downtime – a challenging task in a 7-day retail operation. Moving forward from this, the entire solution was moved off-site to external servers. More recently, we brought a major advancement to the company's communications with the deployment of cloud videoconferencing. We presented a variety of available approaches, demonstrating the strengths and weaknesses of each package and consulting on how its deployment would take place – even performing live conferences across multiple sites to allow users to test out each option. After reviewing each solution, Perrys selected the ClearOne Spontania product to host their conferences, whose emphasis on BYOD would allow the Perrys team to join in from a variety of places and on a variety of devices, while always maintaining a consistently high-quality experience. Lastly, our most recent large-scale project with Perrys was the brand new Business Development Centre – a sizeable call centre environment housing over 50 workstations, each requiring PC equipment, IT networking and telephony. 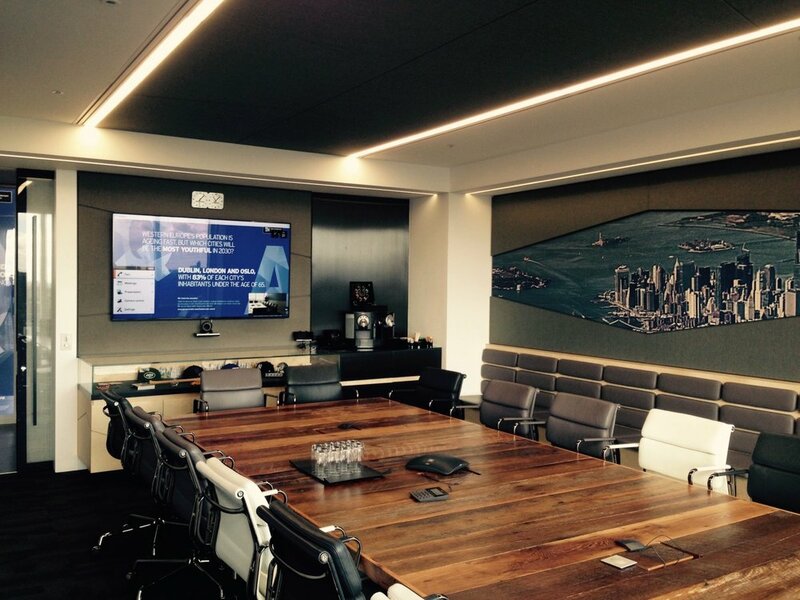 We consulted extensively with the Perrys team on their audiovisual and IT needs as well as exactly what they wanted the space to achieve for their workforce. Pacific designed a user-oriented solution incorporating multiple large format displays from Sony, calculated to be big enough to be readable for all of the Perrys team. The content for display on these screens was designed to engage and inform, providing essential business information in real time, along with training reminders to encourage staff to provide the best possible customer service. The video is distributed from a central Extron control system for ease of use and maintenance. Alongside the main space, a number of smaller meeting spaces were equipped with wireless video sharing from WePresent, allowing staff and guests to easily share and discuss their ideas with the team. 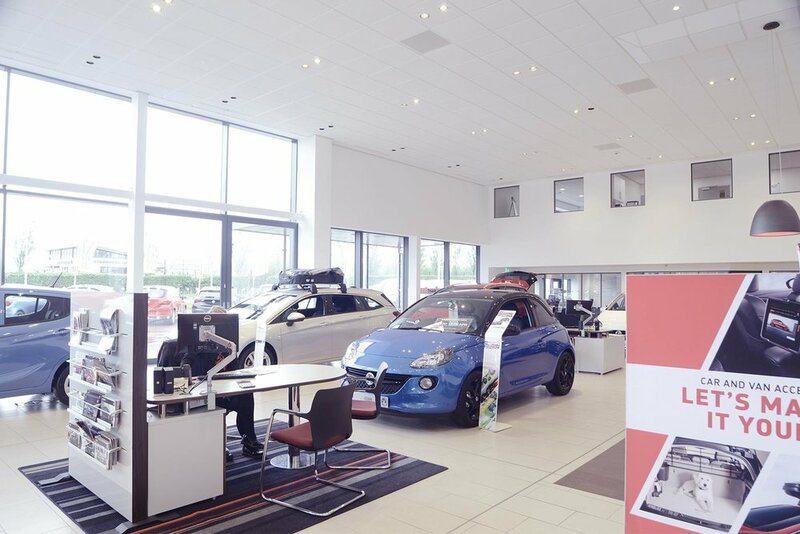 With this trio of impressive installations, along with ongoing support and customer-facing video displays, our work with Perrys has encompassed a vast range of IT and AV solutions. This partnership has encouraged us to push our abilities and IT/AV knowledge at every turn, and has enabled Perrys to achieve their desired business outcome: the ability to provide a consistent, efficient service that can react immediately to real-time information. 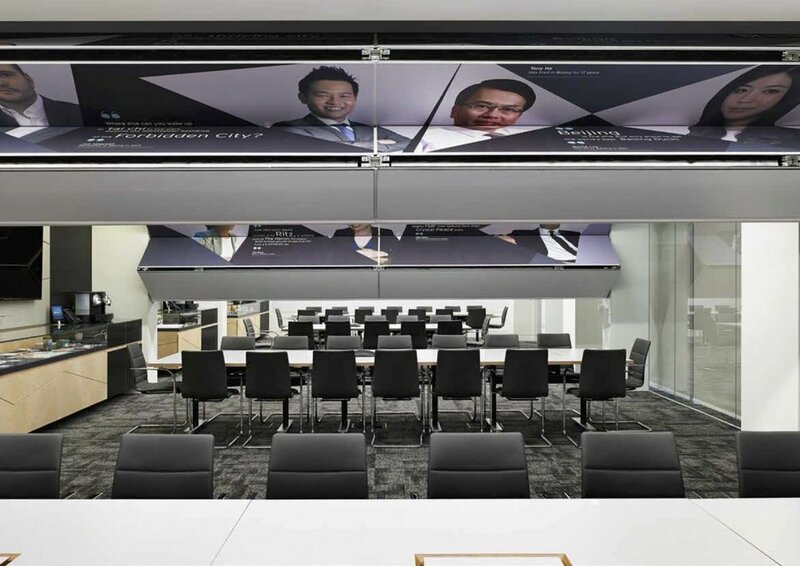 Pacific introduced innovative AV solutions to promote positive workflows and enhance branding at Henderson’s Corporate offices in New York, Beijing and Stockholm.